This year was the 75th anniversary of the Masters, and it certainly delivered the drama we have come to expect from Agusta. 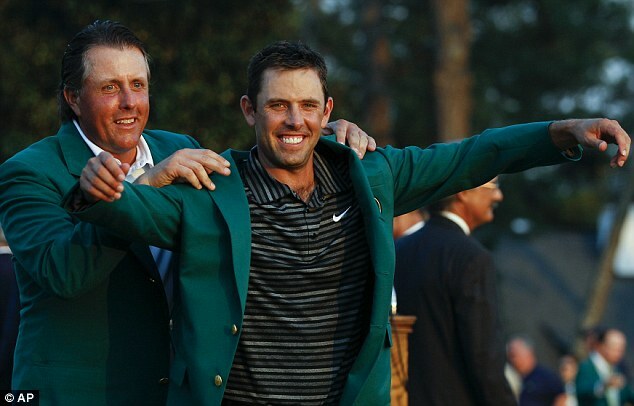 Fifty years to the day after the first South African won the Masters, Gary Player, his fellow countryman, Charl Schwartzel claimed the most coveted title in golf as well. What is more, he did it in the midst of what could easily be mistaken for something Shakespearian. While the young hero Rory McIlroy was crumbling before our eyes, and the focus was steadily on the grizzled veteran staging what seemed a return to form, Tiger Woods; two other young players Jason Day and Adam Scott, who finished 2 strokes back, all had a share of the lead at one point. In all, there were 8 golfers that shared the lead at some point, that in itself makes for fabulous television. Schwartzel rose seemingly out of nowhere to charge ahead on the back stretch by birding the last 4 holes in succession, something that has never happened in the history of the tournament! I had become so focused on Day and Scott and their back and forth, and of course what seemed like a resurgence of the Tiger Woods we once knew, Schwartzel’s play virtually escaped my radar (and that of the TV producer as well). To the TV producer’s credit, they stopped showing footage of Rory. Rory showed maturity beyond his years when he said after his round, “You know, I’ll have plenty more chances. I know that it’s very disappointing what happened today. Hopefully, it’ll build a little bit of character in me as well.” What an amazing way of handling a situation that made me, as a viewer, physically ill. If he, and others are “the future” of this sport, golf is in good shape. And with that swing of his, I think we will be seeing a lot more or young Rory! Well, Charl, you definably picked the right one! You will not be off my radar again sir! Congratulations on a fantastic performance. Woah! I’m really loving the template/theme of this blog. It’s simple, yet effective. A lot of times it’s difficult to get that “perfect balance” between superb usability and visual appearance. I must say you have done a superb job with this. In addition, the blog loads super quick for me on Chrome. Outstanding Blog!